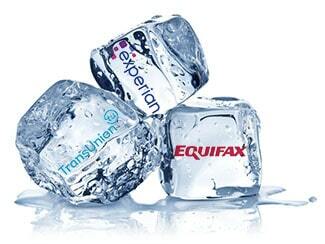 Will My Credit Freeze Hurt My Credit Report? Q. I tried to apply for a credit card, but forgot that I put a freeze on my credit reports because my name and Social Security number were compromised by a hack at a major department store. Will this have an adverse effect on my score? A. Nope. It shouldn’t hurt at all. With your credit locked down, any inquiries are immediately rejected with no impact on your credit score, said Claudia Mott, a certified financial planner with Epona Financial Solutions in Basking Ridge. The purpose of a credit freeze is to limit access to your credit information. In the wake of the Equifax breach, Mott said, it was recommended that anyone who doesn’t plan to apply for a credit card, auto loan or mortgage — applications that require a hard inquiry — restrict access to their credit information. This is also suggested when an individual is the victim of identity theft. If you anticipate trying to apply for credit in the future you, can lift the freeze temporarily in order to do so, Mott said. “To lift the freeze, you need to contact the individual companies and provide the PIN you received,” she said. “They are obligated to have access to the account available within three business days.” Also note that in New Jersey, there may be a nominal cost of $5 to remove the freeze, but this service is free for those who have experienced identity theft. You can also ask the issuer of the credit card which of the three credit agencies it will use to confirm your creditworthiness. You would then only need to remove the freeze on that one credit agency, Mott said. Also, Mott said, a company called Innovis also provides credit information and you can also place a freeze with it online or by phone at (800) 540-2505.